The days are just a bit longer and the sun is shining through the early evening – which means it’s the perfect time for a bit of extra Namaste! 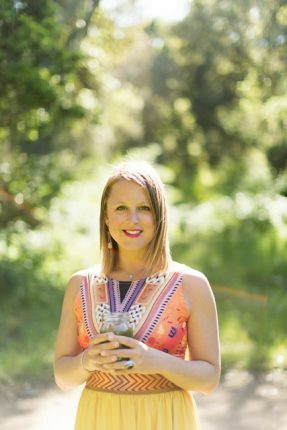 Throughout the summer months, Peter B’s and the Portola Hotel are partnering with local certified yoga instructor, Kate Balog for a happy hour that speaks to your body, mind and taste buds! 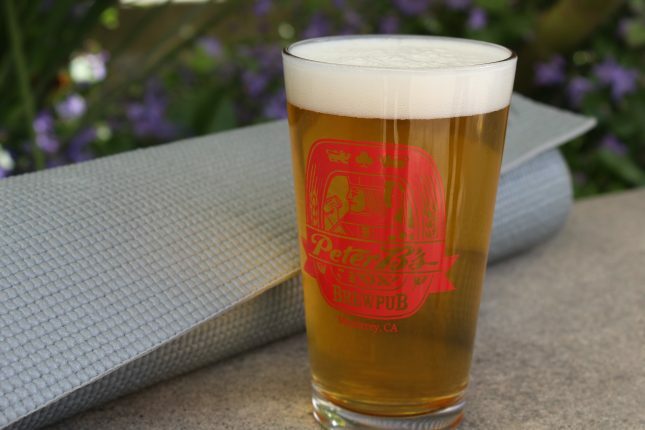 Peter B’s Brewpub Summer Yoga + Beer Series is back by popular demand for its second year in a row and started this week. 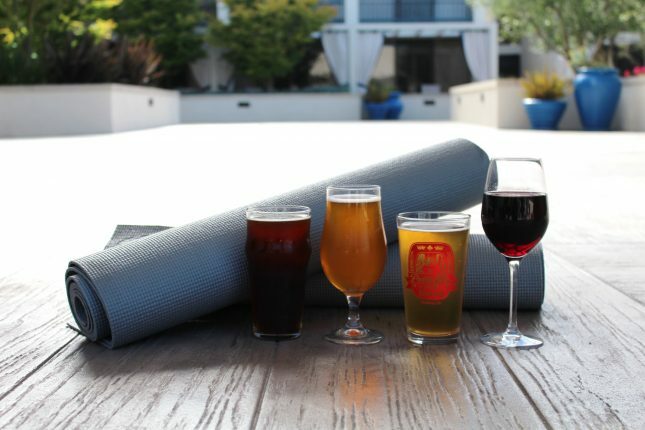 Meditate, move and flow with a 60-minute yoga class in Cottonwood Plaza here at the Portola Hotel & Spa, followed by craft beer at Peter B’s – Monterey’s original craft brewery. No experience necessary, just wear comfy clothing and bring a yoga mat – along with a positive attitude. Each class is $20 and includes one yoga session and a pint of Peter B’s beer or a glass of house wine. 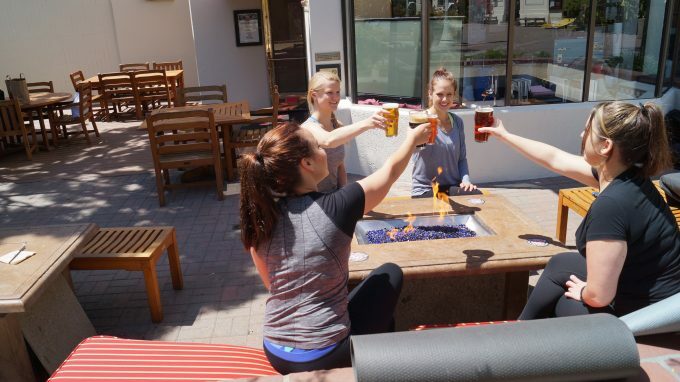 * Sip and relax after class out on the patio and make the most out of your Monterey Bay summer. Self or valet parking at the Portola Hotel is free with validation. *Must be 21 years or older to participate.